In hindsight, we can hardly believe that we almost didn't order a plate of the Little Duckers from Edible Canada on Granville Island. Little Duckers are doughnuts cooked in duck fat and then topped with other mouth-watering ingredients. 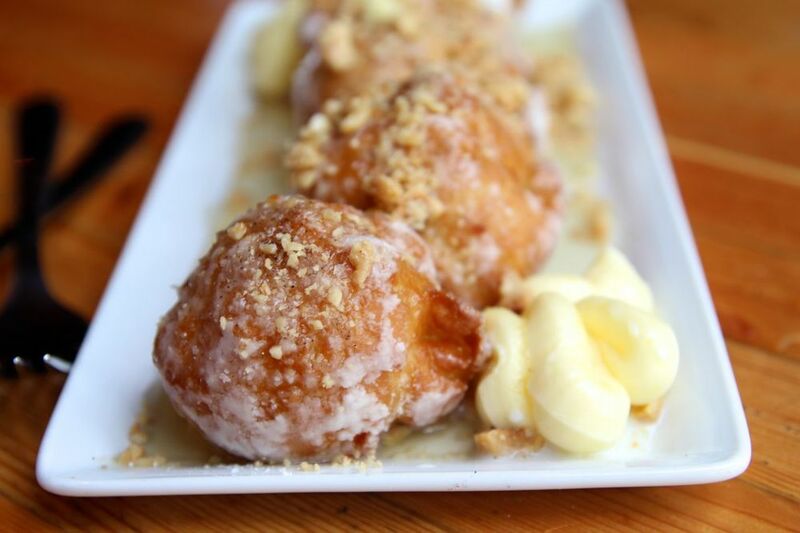 We ordered the 'Nutty Duckers' which were drizzled with Fraser Valley Honey, sprinkled with Agassiz Hazelnuts and sea salt. To make it even more amazing, they were served with a side of maple butter. I think we surprised even ourselves at the speed and fervour with which we ate the little darlings. And guess what, they have a take out window!